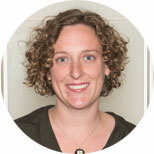 Molly Miller-Petrie is a Publications Officer at the Institute for Health Metrics and Evaluation (IHME). In this role, she supports the development of high-quality, peer-reviewed scientific papers for IHME’s work in the fields of epidemiology, biostatistics, health economics, social determinants, and the Local Burden of Disease, among others. Prior to joining IHME, Molly worked as a researcher on antibiotic resistance, water and sanitation, and maternal and child health for global public health nonprofits in Washington, DC, Bolivia, and Cambodia. She holds an MSc in Control of Infectious Diseases from the London School of Hygiene and Tropical Medicine.